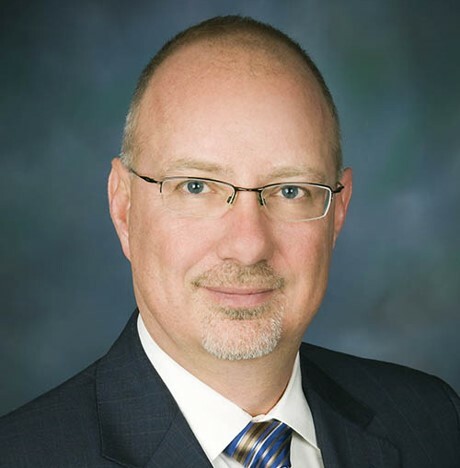 Kirk Steudle Named 2018 IRF "Man of the Year"
ALEXANDRIA, Virginia, December 3, 2018 -Kirk Steudle, longtime Director of the Michigan Department of Transportation (MDOT) and a globally recognized authority on the development of connected and automated vehicles has been nominated to receive IRF's most distinguished individual honor. According to IRF Chairman Eng. Abdullah A. Al-Mogbel "This accolade crowns an exceptional career and a highly respected voice on innovation in transportation, at a time when road sector stakeholders everywhere are embracing creative thinking in anticipation of new trends shaping our current transportation model". Established in 1951, IRF's Man (Woman) of the Year award recognizes eminent public, private and education sector professionals with an outstanding track record of leadership and commitment to the road transport industry. Over the years, the award has recognized some of the world's most influential transport leaders for their work in the field of advocacy, policy, research and educational programs in support of better, safer, and more sustainable road networks globally. Prior to his recent retirement from public service, Steudle oversaw MDOT's US$4.7 billion annual budget and was responsible for the construction, maintenance and operation of nearly 10,000 miles of state highways and more than 4,000 state highway bridges. He served in a variety of volunteer leadership roles with the American Association of State Highway and Transportation Officials (AASHTO), the Transportation Research Board (TRB), and ITS America. In October 208, he was appointed Senior Vice President at Econolite, a California-based traffic management solutions company. Throughout this distinguished career, Steudle has pioneered innovative thinking in the areas of road project performance measures, traffic safety and, more recently, the development of connected and automated vehicle systems. Accepting the award, Mr. Steudle stated "I am quite honored to receive this distinguished recognition from the IRF. Serving the public has been a true privilege and a very rewarding career. The IRF has been a great partner in many different areas and I am thankful for their tireless work. I look forward to continued collaboration"